For quite some time, I have been wanting to dig deeper into black metal, but the right act never popped up at the right time. My favorite bands proved I didn't have a favorite subgenre that held me back--Iron Maiden, Vader, Skeletonwitch, etc.--but I still never hit it off with grim and frosty style of music. Back in high school, Ceremonial Castings almost had me there with their excellent record Barbaric is the Beast, but somehow my interest dropped off as other types of metal took priority, specifically heavy, thrash, and death metal; all of which remain my favorites today. Enter Skagos' Ást. The production makes the music feel increasingly distant. The drumming is sloppy. The songs are overly drawn-out. But fact of the matter is, it's still enjoyable--even addicting--though not in the sense where a song is impossible to turn off. 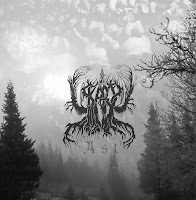 Skagos' brand of black metal is very Agalloch-esque at times--not to mention atmospheric--so you, more often than not, feel as if you are floating on a thin cloud as a lonely surveyor of an avant-garde beast hard at work. In the end, Skagos are a fine example of the black metal's gradual evolution because, while you might hear generic riffing patterns, there's always something new to discover. 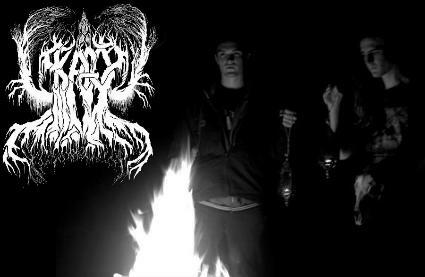 And as you guessed, Ást prods the conventional black metal formula and shapes it into something else. Of course, with my lack of knowledge, I encourage you to take my opinion with a grain of salt, but a description of the band's sound is much better told as atmospheric/ambient because it constantly drops off into minimalist sections. Harmonized leads parts occasionally hover over the guitar riffs, giving the music the floaty feeling as the drums pound away in the background like a jack hammer on concrete. They might feel off-beat and like a nuisance to the music, but once you've absorbed the album a few times, you grow accustomed to the amateur-ness. It becomes charming even. 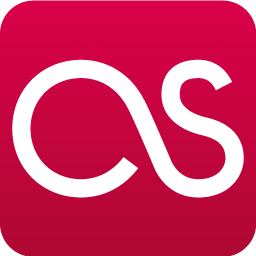 Ást clocks in at a staggering 52 minutes--a feat for six tracks of music--indicating that, if you're going to pop the album into the stereo, preparing for the long haul might be a good idea. I can't recommend the record to novice black metallers, or for someone looking to explore the style for the first time, but if you're already familiar with atmospheric music, this may catch your interest. Ást certainly did for me, even though it requires dedication to sit through its massive duration. I'll be spinning this one for the foreseeable future.